RATES ARE BASED ON VEHICLE CLASS AVAILABILITY AND SUBJECT TO CHANGE WITHOUT NOTICE. Note: We do not offer One-Way Rentals. Additional options may be selected during vehicle pickup including Supplemental Insurance, Fuel Fees, Additional or Underage Driver. A valid drivers license and credit card or debit card must be present at time of rental pick-up. The name on the license must match the name on the credit or debit card. Customer must submit a valid drivers license and credit card or debit card must be present at time of rental pick-up. The name on the license must match the name on the credit or debit card. Customer must pay a $200 Deposit in addition to rental fees in advance by credit or debit card (bank issued ONLY). A higher deposit of up to $500 may apply for Debit Cards, Underage/Second-Payer/Limited Credit or Declined Card and/or Residency Issues or partial payment in cash. *TWO FORMS OF RESIDENCY MAY BE REQUIRED. Customer/Driver Must Be 21 or older to rent. 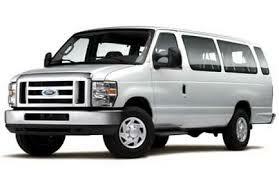 UNDERAGE FEE: $25.00/Day for Drivers under 25. (Note: UNDERAGE FEE is $30.00/Day for Drivers under 25 for Toolcraft Trucks.) Customer must have proof of insurance, purchase supplemental insurance, or execute a Personal Financial Responsibility Certification. ADDITIONAL DRIVER or 2ND PARTY PAYEE FEE: - $10.00/Day/per Driver/Payee. 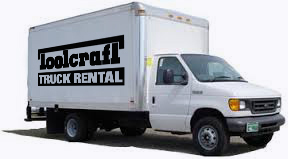 ($25.00/Day/per Driver for Toolcraft Trucks) All 2nd Party Payees must execute contract and Personal Responsibility Certificate with Driver. This 2nd Party is fully responsible for any and all losses as is the Driver. NON-U.S. RESIDENTS MUST PURCHASE SUPPLEMENTAL INSURANCE (27.99/Day) • VT DMV TAX: 9% • AIRPORT FEE - 20% OF RENTAL FEE (Vt. mandated fee) • All vehicles are rented fully fueled and must return fully fueled: RE-FUELING FEE IS $7.00/Per Gallon (Fuel may be pre-purchased to avoid fees) • NO SMOKING OR ANIMALS are allowed in any of our vehicle or trucks, a minimum $250 cleaning fee will be charged for any violation of this policy. • ON-LOT/TRAIN/AIRPORT VEHICLE PICKUP/DROP FEE - $8.99 • AFTER-HOURS 24-HOUR PICKUP/DROP-OFF CUSTOMER SERVICE - $65.00 • 12/14 & 15 Passenger Van Reservations must be paid in advance and all cancellations will incur a (1) ONE-DAY FEE (REGARDLESS OF DURATION OF NOTICE) • MINIMUM RENTAL PERIOD: (1) One Day. Afterward: $18.98/Hour will be charged for up to two (2) hours. After (2) two hours of delinquent vehicle return, a full additional day will be charged. • UNPAID TICKETS & FINES: We charge Actual Fine + $37.50 Processing Fee. All above terms, services, conditions and pricing may be subject to change without notice.